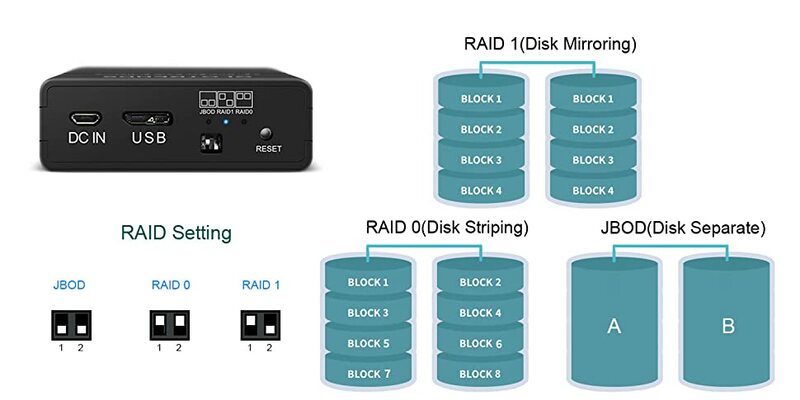 【RAID】RAID Support: RAID 0,RAID 1,JBOD(Default), RAID Setting via switch on the side panel, not software configuration. 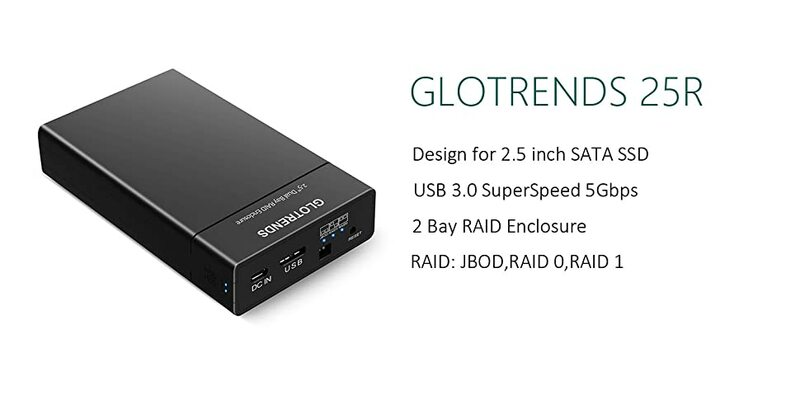 Compatible with windows/Linux/Mac. 2. The space for 2.5 inch drive can well suitable for 9.5mm thick hard drive. For 7mm hard drive, it is suggest to paste the stickers(including) on the back of the case as shown in pictures.